Decisions are part of everyday life. Whether it's deciding what to order from the lunch menu, where to park your car or if to have an early night. Larger life decisions also need to made, such as: if to move across the country or apply for a new job. Many adults with ADHD feel they aren't good decision makers. This might be because they lack confidence in themselves and fear they will make a wrong decision. It could be because they have a history of making impulsive decisions which they later regret. Or it’s a combination of the two. However, when you start to trust yourself to make decisions in a timely manner, you feel happier because you feel in control of your life. Here are 10 suggestions to making decisions. Many people with ADHD are so worried about making a ‘wrong’ decision that they are paralyzed by indecision. Becoming a confident decision maker requires a mental shift. Don’t look back and think you made a ‘wrong' decision. Instead, keep looking forward and ‘course correct’ like airplane pilots do. To build your confidence in your decision making, write down all the decisions you make. Over time, you will realize that you do make a lot of excellent decisions. Nevertheless, you only remember the decisions you make and later regret. This ‘decisions list’ will help you to have a balanced perspective, and in turn, give you the assurance you need to make more decisions. Making a decisions requires a little time and mental energy. Many people living with ADHD are busy from the moment the alarm clocks rings until their head hits the pillow. Big decisions can’t be made when you are dashing around. If you have a decision to make, book an appointment with yourself and write it in your day time planner. Then, at the allotted time, switch off your phone and close your computer, and focus on the decision. Get a big piece of paper and at the top of the page, write your decision down. The simple act of writing it down helps you to get really clear on what your decision is. List the pro and con’s of the decision. Brainstorm as many as you can, even if some of them seem farfetched. If making a decision seem difficult, it could be you don’t have enough information yet to make an informed decision. In which case, gather information by doing research online, speaking to people, etc. Decisions aren’t made in isolation. They are influenced by the rest of your life. Remind yourself of your goals: short-term and long- term ones. Even a difficult decision is much easier to make when you consider it in relation to your goals. Talk the pros and cons of your decision over with a friend or family member. Not because you want them to make your decision for you, but because articulating your options to another person helps to solidify them in your mind. Often, by the time you have finished explaining all your points, you will have reached your own conclusion. If you are prone to making impulsive decisions, follow the steps 3 through 8 on this list. 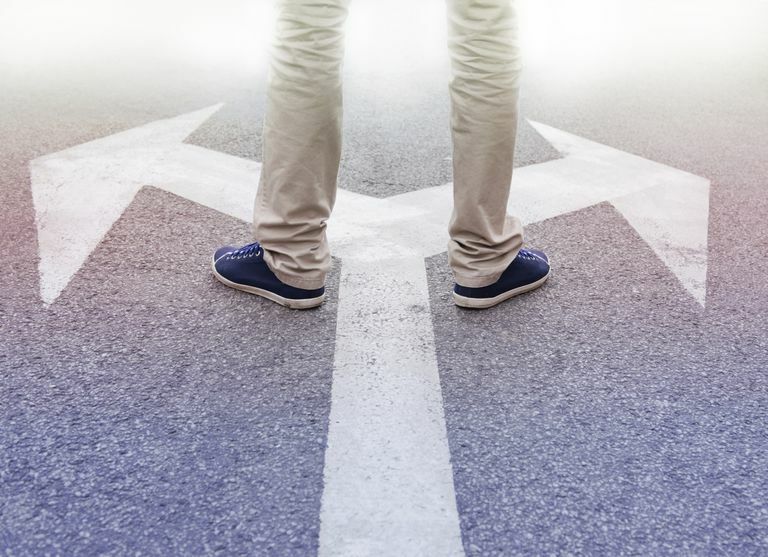 These steps force you to slow down and think about a decision before committing to anything. The more decisions you make, the easier they become. Start with the smaller and easier ones and build up to the more difficult ones.